I have quite a backlog of bird captures that I haven’t worked so I am going to try and get a post out every day or so that includes one or two species. 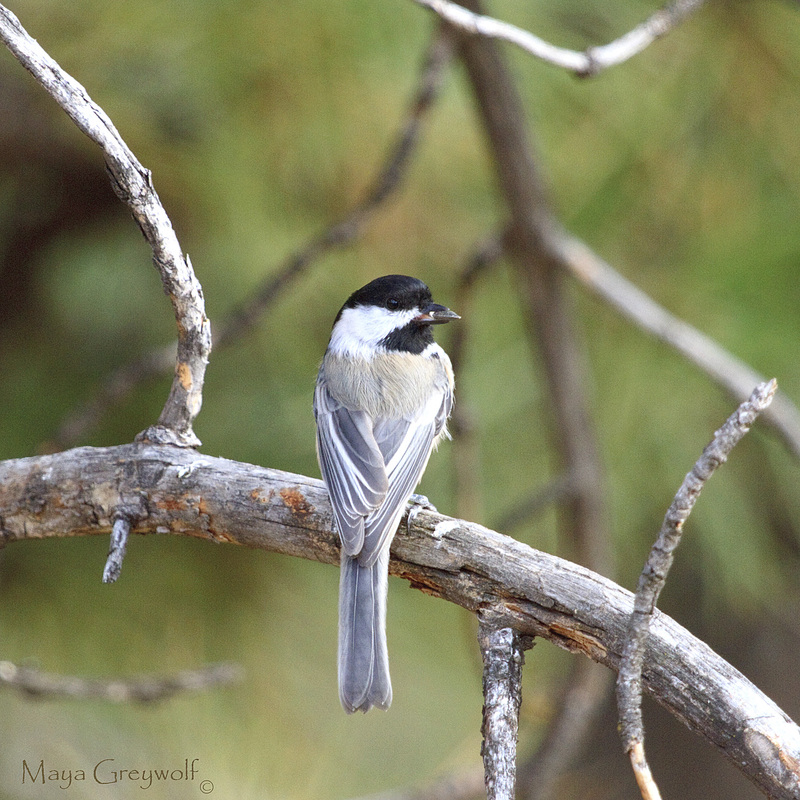 Today, will be one of my favorites, those cute, little, Black-capped Chickadees. Cornell Lab of Ornithology describes their call as “Hey Sweetie” but I think it sounds like “Cheeseburger”, which is how I often refer to them, “Cheeseburger Birds”. A number of my friends have also become proficient at sound identification due to my take on the call. Don’t ask what I think the Inca Doves are saying. When I lived in Alaska, these bold birds would eat seeds right out of my hand; oftentimes landing on my head first. 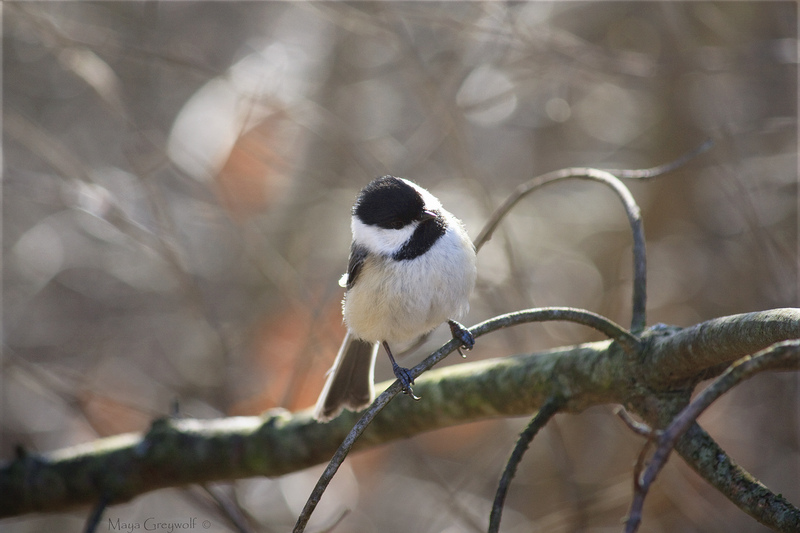 I spent one summer bird-banding with the Alaska Bird Observatory and when I commented on how feisty they were when trying to retrieve them from the nets, then director Nancy DeWitt responded something to the effect that, if chickadees were the size of robins, no one would ever go into the woods. It’s good to be back where I can hear big voices, coming from little birds throughout the woods, hawking cheeseburgers. Nice work. I can never get birds ! Thank you – the big lens helps a lot! Exactly! I am enjoying your photos. A friend recently downloaded an App that can recognize the trill of individual birds and then make the reciprocal mating call. It’s pretty cool! Fantastic captures, love these feisty little birds!